oh, ATK, you really had me worried for a minute with your “light” carrot cake recipe. in fact, i almost tossed it and started over with a different recipe. but, i persevered, thinking that you haven’t really failed me yet. thank god i didn’t follow my instincts! 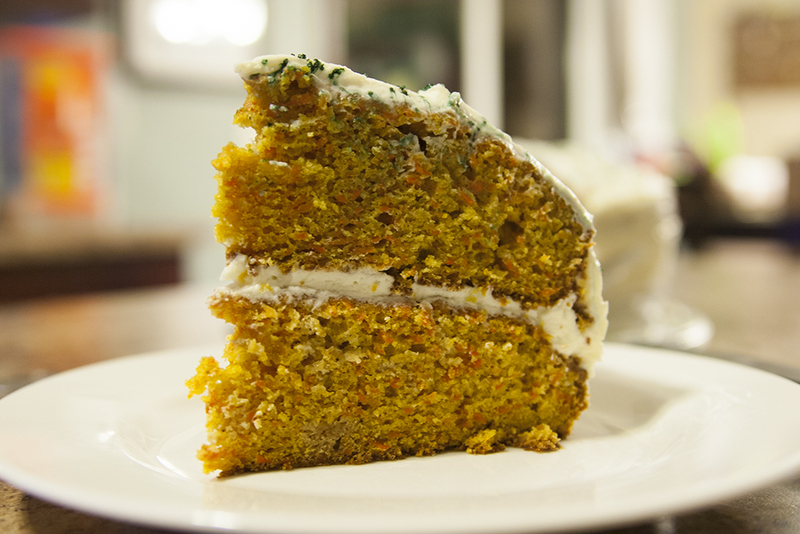 the carrot cake i’ve made in the past has called to add the carrots to the wet ingredients, then mixing in the dry. this one said to mix the carrots in at the end. but before that point, i was looking at the dough wondering how on earth it would pour into a cake pan, because it certainly looked more like cookies. reluctant, i stirred in the carrots. 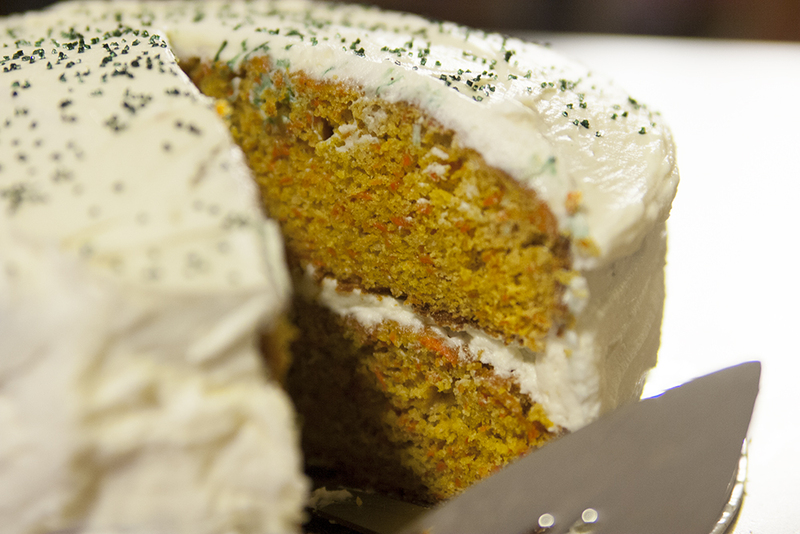 it was a long process – i probably spent 5 minutes trying to incorporate those carrots – but in the end, the water from the carrots transformed the cookie-ish dough into a cake dough. needless to say, this worked out ok. it’s a little bit chewy, which i’m not sure is the fault of the recipe or the inherent quality of carrot cake or my overzealous mixing of the carrots. it looks green on the top because i have black sprinkles on the top. it’s nate’s birthday cake, so i thought black sprinkles would be appropriate!